To improve the quality and quantity of your sleep, make sure you limit your caffeine intake (which you should be doing anyway), sleep with your head raised to ease heartburn, and don’t drink liquids after dinner so you can reduce the number of bathroom visits during the night. Whether it occurs in this 16th week or a month from now, the first time you feel your baby move is one of the highlights of pregnancy. As your pregnancy progresses, your baby’s movements will be so frequent and pronounced that you may take them for granted, but this first signal of your baby’s existence is an important milestone. For many women, the second trimester is the best period of pregnancy. 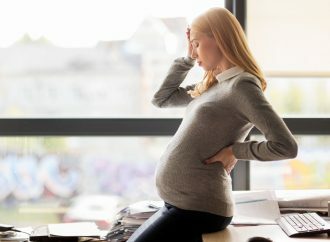 Your initial pregnancy symptoms — overwhelming fatigue and morning sickness — have likely eased by this point. Around this week, a baby’s ears are sufficiently developed that he can hear for the first time. The womb is a protected environment, but it is not a particularly quiet one. 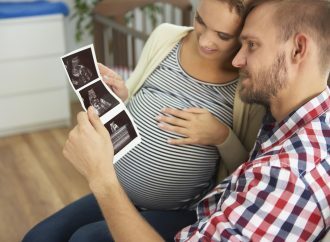 You are about halfway through your pregnancy, so now is a good time to consider what you still need to do before the baby arrives. Your doctor might suggest an ultrasound exam at this time. This is one exam both you and your partner can look forward to. You’ll get to see your baby, from her head to her spine to her beating heart. You may be noticing that your feet and ankles are starting to swell, especially at the end of the day. This is completely normal. If swelling is bothering you, try keeping your legs slightly elevated while you rest or sleep. Beginning about this time, some women start feeling painless contractions, also known as Braxton-Hicks contractions. The muscles in your abdomen may suddenly get rock-hard, a quick rehearsal of the serious contractions that will happen in a few months. This is still a pleasant time in pregnancy — at least physically. Your emotions may be telling a different story. The mix of hormones, anxiety, and uncertainty that comes with pregnancy can be enough to make any woman moody or irritable. It’s not unusual to feel a surge in sexual desire during your second trimester. Now that your morning sickness has passed, you may want to make up for lost time.